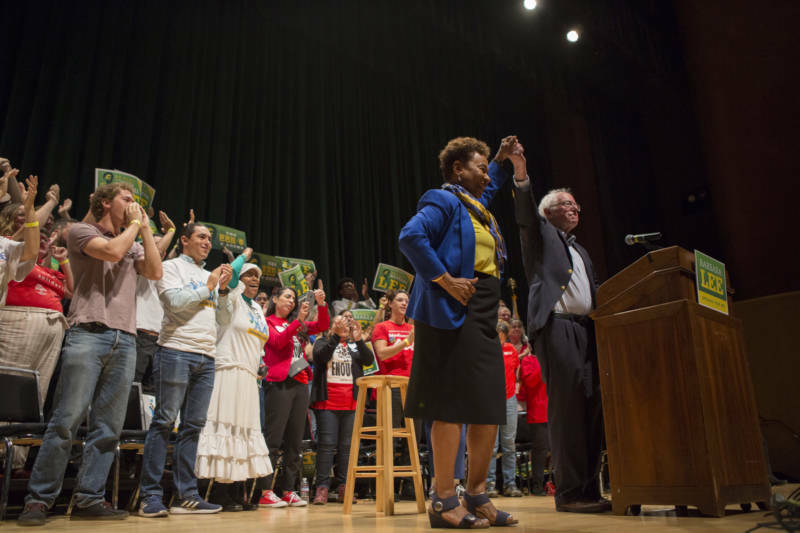 U.S. Sen. Bernie Sanders is in Berkeley this weekend campaigning for East Bay stalwart, Congresswoman Barbara Lee. The Vermont senator is hoping to drum up support for fellow progressives in the midterm election; his Berkeley appearance completes a nine-state, cross-country tour campaigning for midterm candidates. As Berkeley is arguably the bluest of districts in an already blue state — "the most woke district in the nation" according to Lee — it begs the question why Sanders included it in his tour when he could have been stumping in less liberal, more highly contested districts. "Things like this, they get people involved, they get people to turn out," said Rafael Botello, a UC Berkeley student who attended the rally. "They get people to canvass and work for these candidates. So I definitely don't think it's a waste of time." Cynthia Papermaster offered another possibility for why Sanders presence could pay off — literally. "I brought my credit card," Papermaster said laughing, "so yeah, I'm really trying to help her win this race." Papermaster is talking about avowed "corporate-cash free" candidate Jovanka Beckles, who's running for the state Assembly against fellow Democrat Buffy Wicks. Beckles, a two-term Richmond city councilmember and democratic socialist, champions many of the same policies and shares a similar style to Sanders, running on a "people over profit" platform which centers housing and health care for all and fully-funded public education. Sanders hasn't officially endorsed Beckles — who sat behind him on stage — but his campaign financing strategy has proven popular in the Bay Area and could aid Beckles in gaining the funding necessary to defeat Wicks. After all, Sanders became famous for fundraising millions for his presidential campaign through small-dollar donations. According to the Center for Responsive Politics, a large portion of the money Sanders raised in 2016 came from tech workers like Apple and Intel hailing from — you guessed it — the Bay Area. 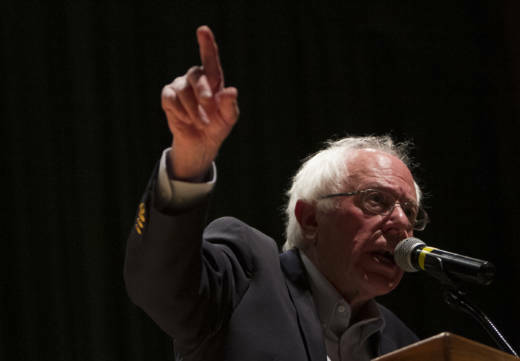 Keeping true to his rhetoric, Sanders — who is considering another presidential run in 2020 — stood in front of more than 2,000 rally-goers at Berkeley Community Theater on Saturday urging voters to "turn off the damn television and come out and fight for democracy."